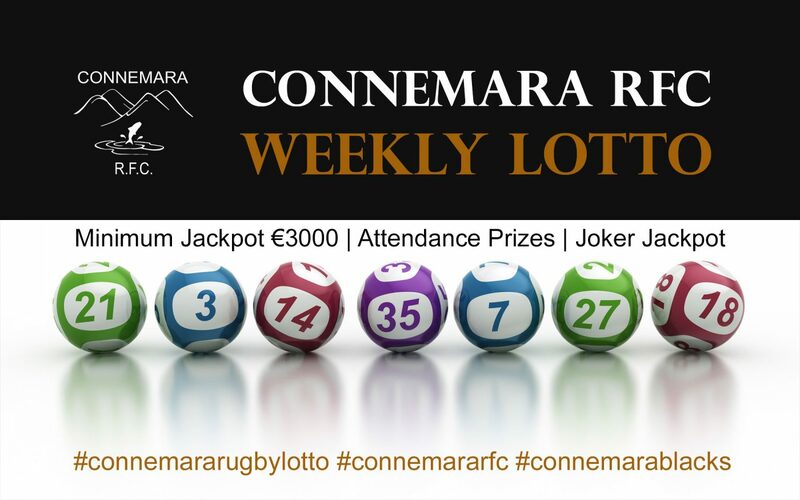 The Connemara RFC Weekly Lotto Draw takes place every Sunday night in various local venues. Attendance Prizes, Joker Jackpot & of course the Main Draw. Jackpot at least €3000. Buy tickets at participating outlets, online & on the night!